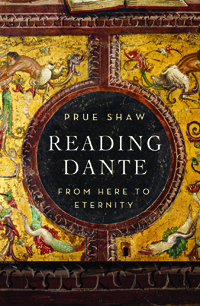 Scholar Prue Shaw joins the show to discuss Reading Dante: From Here to Eternity (Liveright Press). We talk about our favorite parts of the Dante’s Commedia, the poem’s transformation for her over the decades, Dante’s challenge of expressing the inexpressible (especially in Paradiso, the fate of Jews in Dante’s afterworld, and the reasons why we all — poets and non-poets, believers and non-believers — should be reading Dante. Give it a listen! 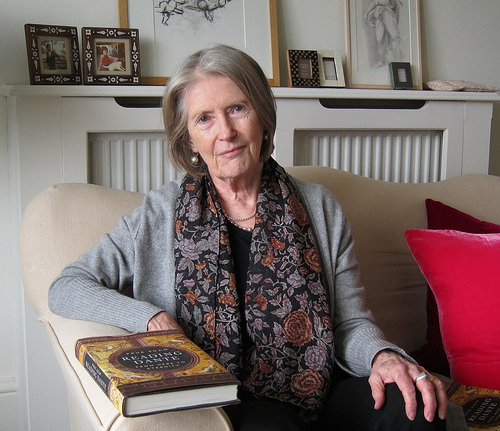 Prue Shaw is Emeritus Reader in Italian Studies at University College London, and the editor of the edizione nationale of Dante’s Monarchia and of a digital edition of the Commedia. Her latest book is Reading Dante: From Here to Eternity (Liveright Press). She lives in Cambridge, England. You can find her extensive bio at her site, PrueShaw.com.